check how new is a new stuff. Naturally a new car buyer will check how far the new car has traveled before it arrives at home. Customers tend to look at the odometer, then would calculate the distance between the car dealer and the vehicle’s delivery destination. Then they will arrive at the perception of how “fresh” the car at the time of signing the delivery receipt. As a buyer, it is only reasonable that we expect our new car to be as new as possible, that it has not traveled more than expected. And an expectation only follows what customers know about the sales links or structure. While every customer’s perception and knowledge may vary, a common perception about a new car journey is as follows. [manufacturer] > principal > dealer > customer. Many don’t even consider the [manufacturer] as a third party which may be some more distance away from the principal’s main business premises. But it does not always work that way. A new car might have traveled much farther than a customer expects, or what the odometer shows. 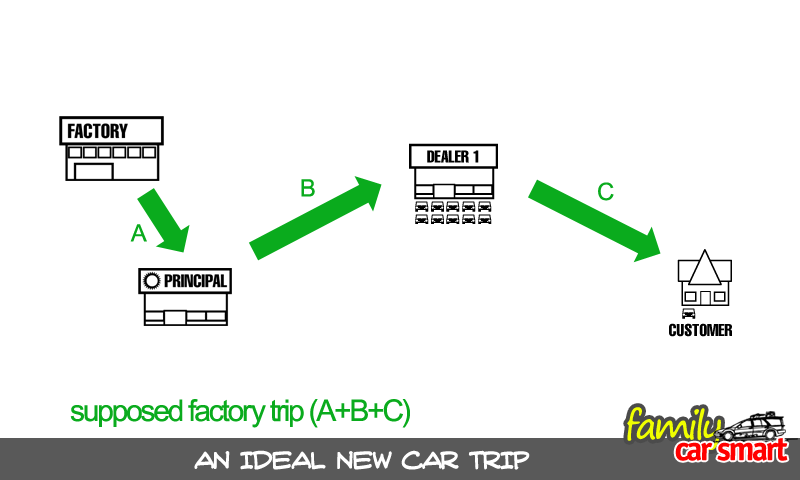 Let us see an example of a new car journey from its birth, and the sales structure. From the factory, a new car is delivered to the principal. The principal then sells the car, well not only that one, but many cars, in bulk, to the dealers. Car dealers run big business. They buy cars in bulk. 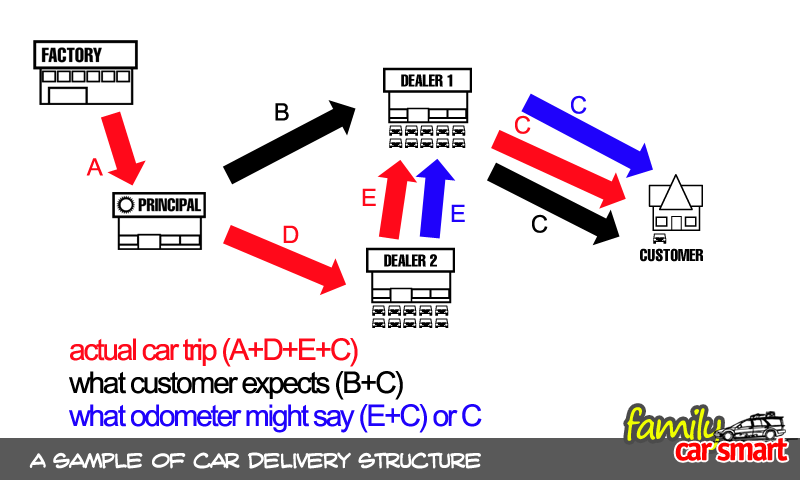 They order cars from the principal according to buyer’s orders, and to meet the order batch, include other models /trims /colors, or cars with specifications they predict will sell, even before a customer orders one. 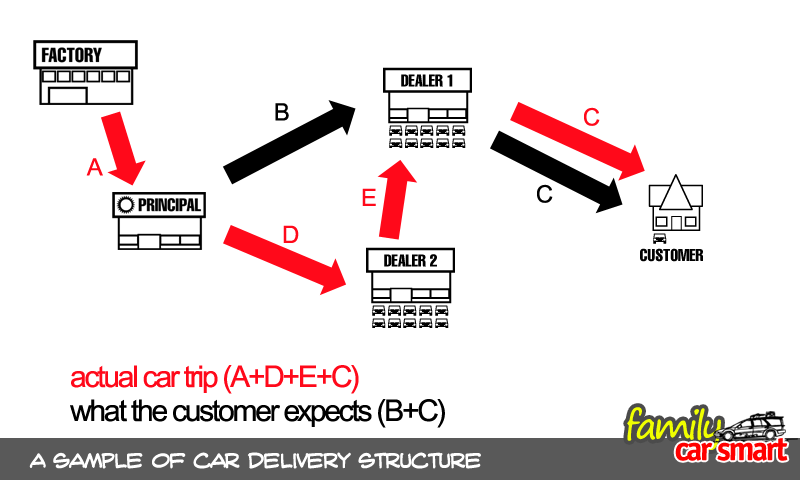 When a customer orders a car at a dealer, the dealer may or may not have the car in hand (what we call ready stock cars). What if the ordered model is not ready stock? Will car dealers put an order to the principal? Well, they might. But there is other way to get the car fast, which is to get an unsold car from another dealer. 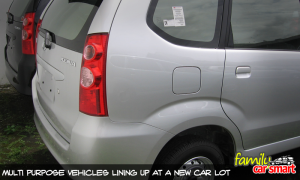 If the requested and available car matches, the car from the other dealer will be delivered to the requesting dealer. 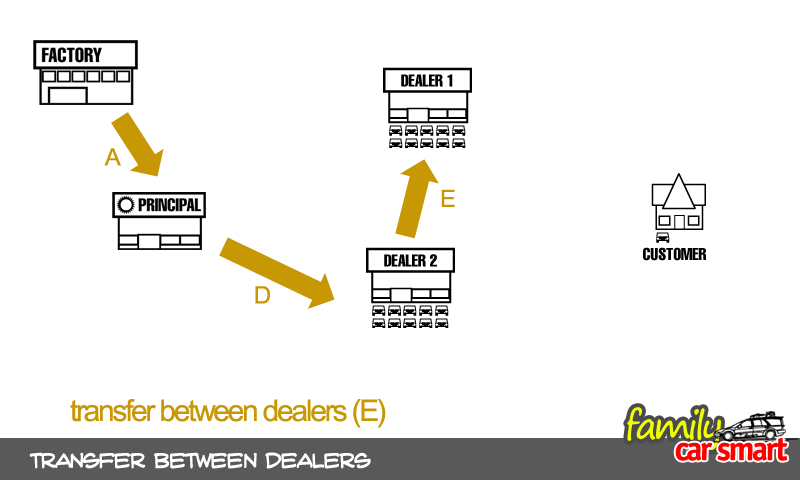 Within the dealership network, the journey the car takes (it might be driven between the two dealers) can cover quite a distance. Some might be hundreds of kilometers, between cities or crossing provinces. 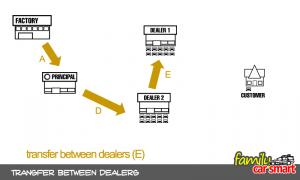 This even allows a dealer located relatively near from the principal to transfer back cars that have been delivered hundreds of kilometers farther away. Sometimes the numbers don’t add up. A new car odometer may not show how far the car new has actually rolled. A car dealer might reset the odometer at a specific point which usually meets the customer’s expectation, or at least where complaint will be suppressed. Car manufacturers /principals try their best to deliver cars as new, as fresh as possible to the customers. Here in Indonesia, it is easy to find new cars driven to car dealers with windows open during the tropical heat. The drivers are not allowed to turn on the air conditioner! 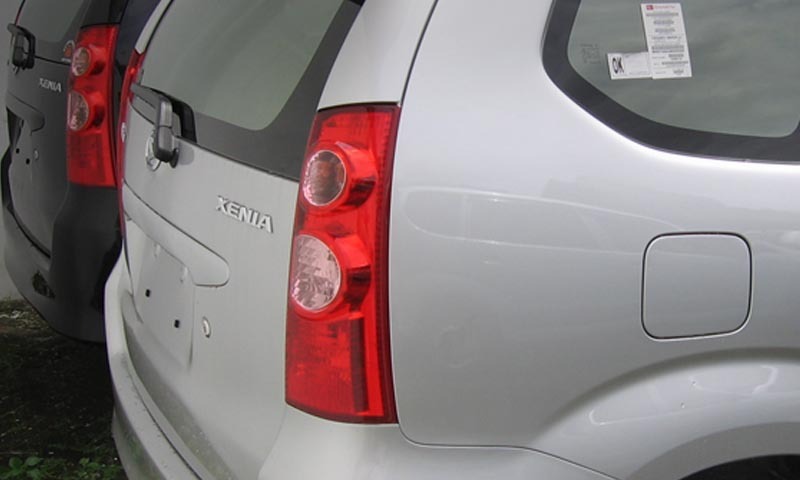 And we can easily guess that it is done to maintain the brand new status of the car equipment. The odometer reset may be done to help satisfying customer’s expectation. And during completion of delivery, terrain, road conditions may necessitate new cars to be driven for quite a distane for delivery. Thus a new car may not ride on a truck carrier all the time. So let us just be happy with our new cars. The extra hundred, or even one thousand and some miles won’t matter much comparing to the function a new car serves. Just pack our bags, drop them in the car, and take the family on a nice trip. Before you take the trip, if there is any comment or suggestion about this article, just leave it in the comment box below. Thank you. Have a nice trip. Hmmm… I must say that you got me here. Frankly, I never thought of these kinds of “inside” moving around when it comes to brand new cars. I really appreciated you having quality images portraying how it happens and from which point to which point the car is EXPECTED to travel and how it REALLY is. Also, it never crossed my mind that the car would go from principal to Dealer 2 and only then to Dealer 1. I guess that’s how businesses operate! The article only gives one sample of the many possible variations of new car distribution. It is a sample of a local, domestically manufactured car. The law, production locations, and other factors might result in a different scheme. Thank you, Zarina. Hello, I was in the new car transport business for 10 years. I would pick up cars right from the factory lots, load them on my trucks and take them to local dealers. There are inspection points at every step in the new car distribution. I grew up in Michigan so I had access to plants directly. If a vehicle is made in Mexico it is loaded on trains to storage lots, then on a truck to a dealer. Pretty simple process. I wouldn’t worry so much about miles on the odometer. Most cars have around 15 miles on them from testing and employees driving them to spots once they leave the line. also people test drive at dealer too. Hi, Tim. Thank you for sharing your experience. What I described in the page may be only one of many variations of new car distribution scheme. Some countries or states might also have regulations about odometer settings. Yes, there are risk of accident or small incident during a new car journey to its customer. It is indeed rather scary and adds stress to the car dealer.